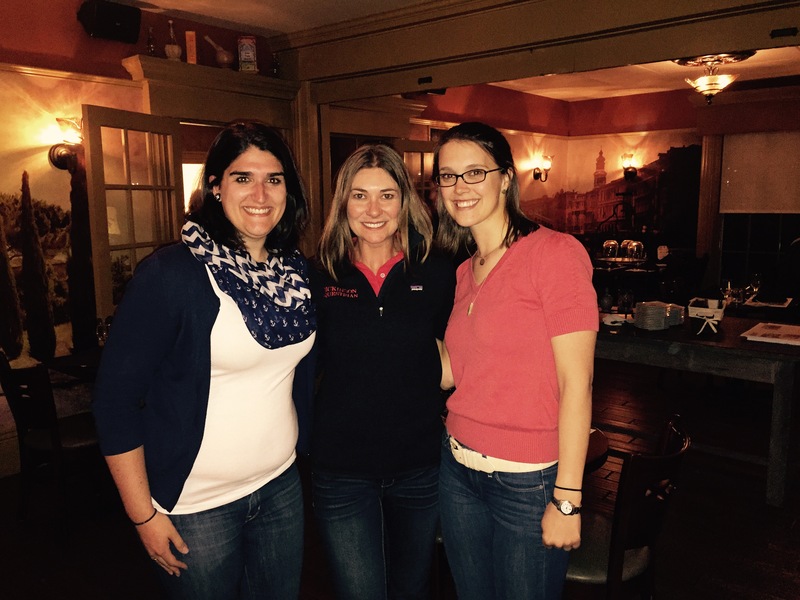 Laura Laszcyk (Oliver) ’08 came to visit and cheer on the team at the show we hosted at Black River Farm on November 12, 2016. Lindsay recently got to meet up with Mary McClintock ’11 and Mara Finkelstein ’11 at the 2015 IHSA National Finals. Mary is currently finishing up Dental School while Mara will be finishing Law School in about a year. Looking to reconnect with fellow DET members? Want to ride in IHSA Alumni classes? Want to receive regular team updates and newsletters? Or visit our new Facebook page for Alumni!